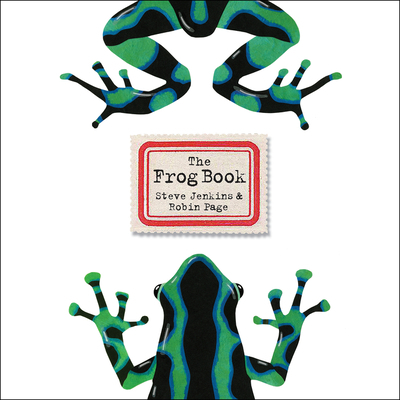 Caldecott Honor–winning team Steve Jenkins and Robin Page explore form, color, and pattern, and capture the very unique nature of frogs in this brilliantly illustrated picture book. Perfect for fans of The Beetle Book, and young readers looking for nonfiction about this perennially fascinating animal. Long legs, sticky tongues, big round eyes, and other dazzling features—what's not to love about frogs? In this magnificently illustrated picture book, Caldecott Honor–winning team Steve Jenkins and Robin Page explore one of the world's most diverse—and most threatened—animals. With more than 5,000 different frog species on the planet, in every color of the rainbow and a vast number of vivid patterns, no creatures are more fascinating to learn about or look at. Jenkins and Page present a stunning array of these intriguing amphibians and the many amazing adaptations they have made to survive. Robin Page lives in Boulder, Colorado, with her husband and collaborator, Steve Jenkins, and their three children. Along with writing and illustrating children’s books, Steve and Robin run a graphic design studio.